in the 4Sync app for iOS devices! As you recall, all folders from your 4Sync account that include audio and music files are shown as playlists in the Music tab of your 4Sync for iOS app. 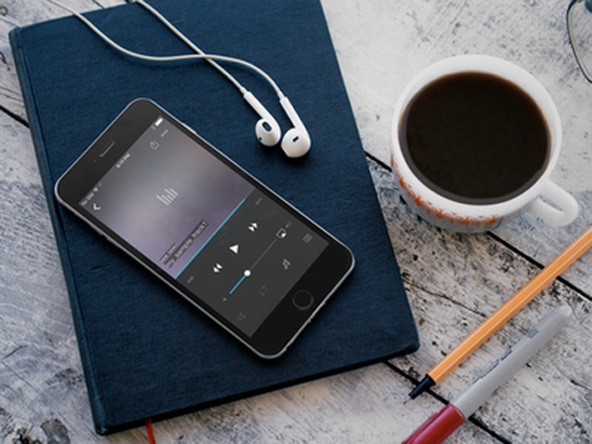 Thus, you only need to tap on the playlist to start streaming it, either in a standard, or shuffle, or repeat mode. 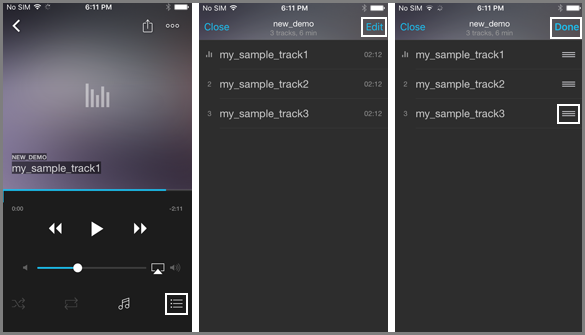 Moreover, you can also change the sequence of tracks for the standard playback mode! 2. Tap the “Tracklist” icon. 4. Swipe “≡” up/down to move a certain track backwards/forwards in the playlist. As you probably remember, you can view images in 2 modes in your 4Sync for iOS app: standard (swiping left/right on image preview) and slideshow. More importantly, you can also customize the interval between photos in slideshow! 2. Tap “▶” on the opened preview. 3. Tap the preview screen and adjust settings using a Speed slider. Excited to try out yourself? Install 4Sync for iOS from App Store today!